The tattoo is a representation of a warrior Shardana, belonging to the people of navigators, who inhabited the lands of the Mediterranean sea in the nuragic period. 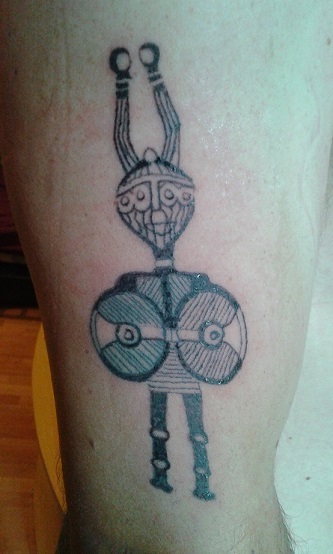 The tattoo is a graphical representation of the Sardinian bronzes. In this case the warrior is equipped with two shields, 4 eyes and two antennas.